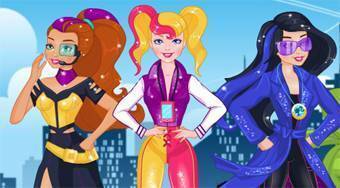 Do you like Barbie Spy Squad Style? Share it with your friends. Barbie Spy Squad Style - dress Barbie and her two beautiful girlfriends in order to change them in the best super heroines.